Attends Dri-Sorb fail in overnight trial. Pads do not absorb enough urine for my husband's incontinence. I have to use two pads over my reusable pad and then sometimes it soaks through. 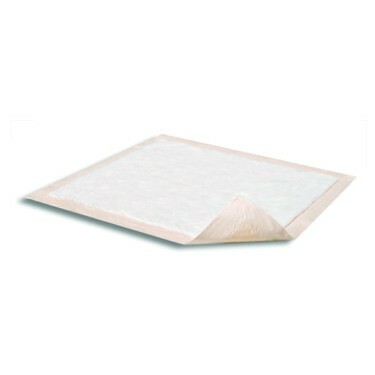 I previously used another bed pad that did a real good job but was more expensive but had to use less pads. Pros:Less expensive. Probably would work better in a situation where there is a regular change but I am giving in home care and do not change routinely just as needed. Cons:Not enough absorbent material. Urine goes through the plastic lining. It is too thin for my use. I wasnâ€™t sue about it but will not order again. Pros:Probably be ok for smaller person. Pros:They are okay. Just wish there were a Queen size which could be tucked in at the edges. Product is basically a chuk pad. Plastic backing makes this to warm for my m family member and it stuck to her at night. I'm going for a more expensive product this time.